Choose from a selection of 1 holiday rentals in Starnberg. Use the search form to the left to filter the results and pick your choice of self catering accommodation in Starnberg. We have a good selection of holiday apartments in Starnberg perfect for family, single, romantic and group holidays. You may prefer to take a look at our listed holiday villas in Starnberg or holiday apartments in Starnberg. Find your holiday homes by a specific type using the property type drop down in the filter. Filter the holiday homes in Starnberg by a specific area using the area list above. 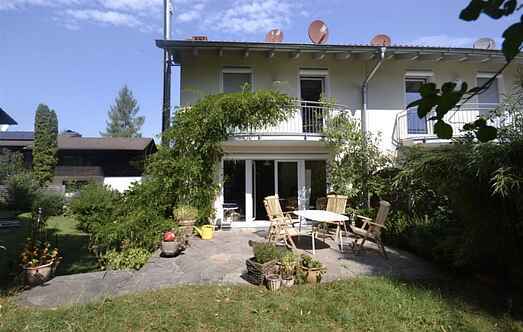 This Bavarian Holiday House of Starnberg is fully equipped and has a romantic atmosphere .The house is located marvellously in the district of the 5 lakes. Summertime at the beaches or improving your handicap on the numerous golf courses.Romantical true Bavarian Biergarten invites you to,stay longer at the lakes.In winter time the close Alps and mostly snowy time attracts guest to go skiing, hiking, ice skating or Bavarian curling.How about a shopping tour in Munich? The city is close easy to reach and not onlygreat during the time of Oktoberfest.